No matter what your sunglass persona, Warby Parker has your number, and their latest crop of ingenious collaborations and ventures further cement the company as a modern favorite. If you adore '80s-style silver-framed aviators, or preppy tortoiseshell shades, or even lenses in edgy purple or green, Warby Parker has the ideal pair. And because it's sunglass season (read: summer), the company has initiated a number new partnerships resulting of ultra-enviable shades. First up on the docket is the brand's Karlie Kloss x Warby Parker line, which includes three styles of wire-framed, tinted-lens shades. The line's Clara pair evokes a modern '70s vibe with its rounded lenses and oval shape, while Kloss's Marple shades read chic librarian in the best possible way, and the aviator-style Julia sunglasses are sheer seaside Californian perfection. And if the sunglass designs aren't motivation enough to purchase a pair at $145 a pop, the company is donating proceeds to Kloss's charity of choice, Edible Schoolyard NYC. But perhaps you're not drawn to any of Kloss's vintage-inspired designs. Enter Into The Gloss x Warby Parker, which features sleek aviators in chic Japanese titanium for a very sporty look indeed; think an updated Tom Cruise in Top Gun with a little something extra. No one embodies the spirit of creativity and collaboration more than Beck. From the moment we heard about his Song Reader, we were eager to join forces on the project. We’re thrilled to have worked together to introduce an album and a great pair of frames. Based on the abundance of diverse, creative collaborations the company is offering for Summer 2014, it appears that Warby Parker just became even cooler. 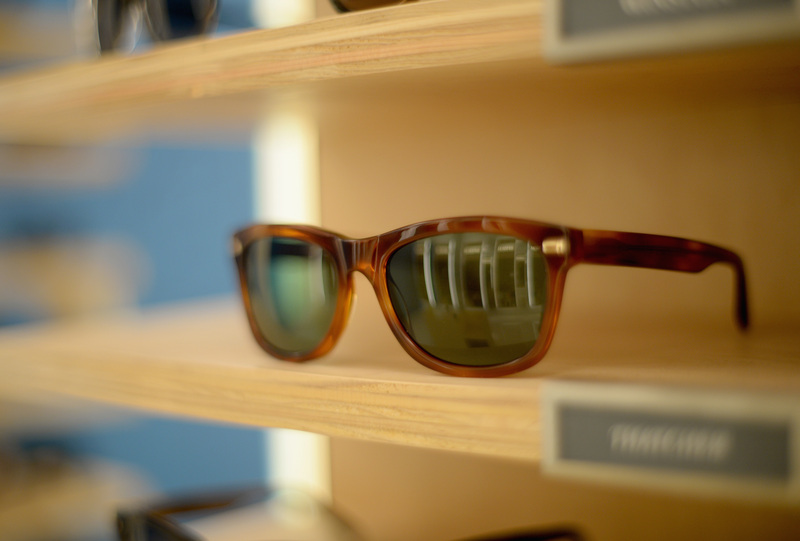 So celebrate your style by snapping up a new pair; after all, sun protection is the latest trend.